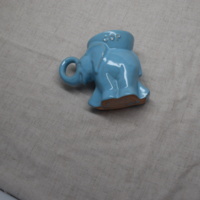 Blue Porcelain Elephant Bowl that says "GOP" at the top. 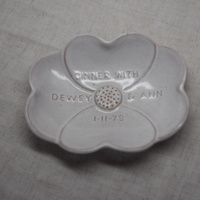 This symbolizes the Republican Party. Origins unknown. 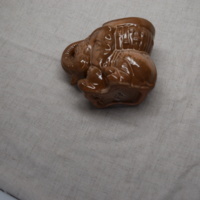 Brown Porcelain Elephant Bowl, most likely memorabilia from the Republican Party. Origins Unknown.